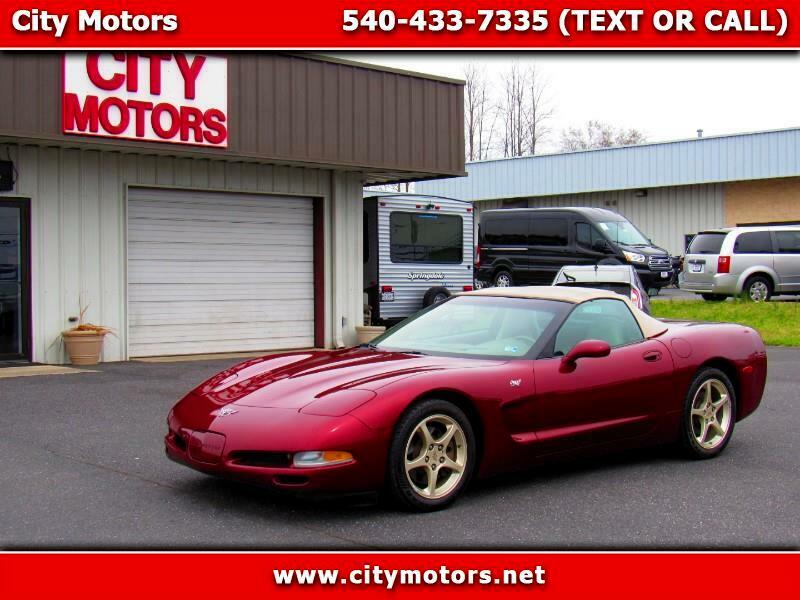 This is our 2003 50th anniversary Corvette. This one is a true 50th anniversary car. All real 50th anniversary cars came with a special shade of red paint ("Anniversary Red Metallic") and shale two-tone leather interior; Anniversary Edition convertibles were adorned with a shale-colored soft top as well, embroidered upholstery trim, and badges completed the Anniversary Edition package. This particular Corvette is in outstanding condition inside and out. You will not find a nicer 50th anniversary car out there... especially for under $20,000!